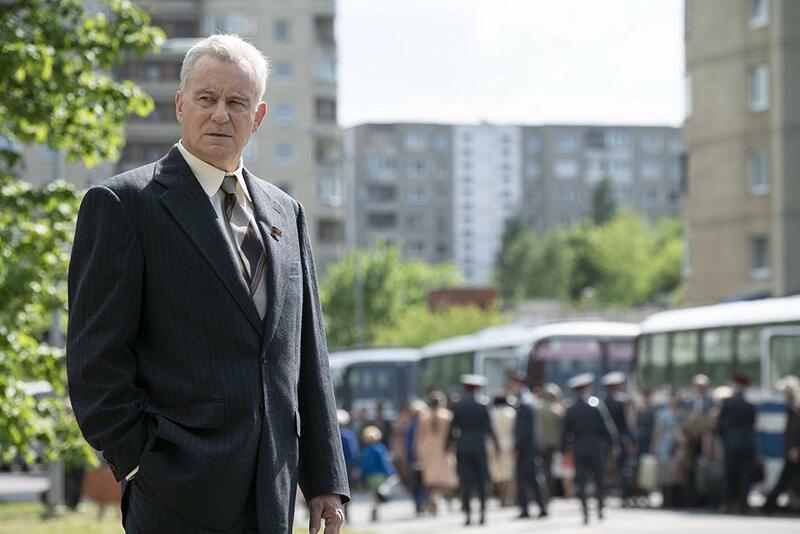 HBO is airing its five-part miniseries Chernobyl on May 6 at 9:00 p.m. Known as one of the worst human-made catastrophes in history, this drama will focus on key personalities who were the heroes of this disaster in Europe. Chernobyl will headline Jared Harris (The Crown), Stellan Skarsgard (Good Will Hunting) and Emily Watson (Hilary and Jackie). The series was written by Craig Mazin (The Huntsman: Winter’s War) and directed by Johan Renck (Breaking Bad). The miniseries also stars: Paul Ritter (“Lovesick”) as Chernobyl deputy chief engineer Anatoly Dyatlov; Jessie Buckley (“Beast”) as Lyudmilla Ignatenko, a Pripyat resident married to a firefighter on the first response team; Adrian Rawlins (“Harry Potter and the Deathly Hallows”) as Chernobyl chief engineer Nikolai Fomin; and Con O’Neill (“Harlots”) as plant director Viktor Bryukhanov. The cast also includes: Sam Troughton (“The Ritual”), Adam Nagaitis (“The Terror”), Barry Keoghan (“Dunkirk”), Ralph Ineson (“Harry Potter and the Half-Blood Prince”), Mark Lewis Jones (“Star Wars: Episode VIII – The Last Jedi”), Fares Fares (HBO’s “Westworld”) and David Dencik (“McMafia”). Principal photography for Chernobyl took place in Lithuania and Ukraine, with a creative team including: director of photography Jakob Ihre (“Thelma”); production designer Luke Hull (“Howards End”); editors, Jinx Godfrey (“The Theory of Everything”) and Simon Smith (“Endeavor”); costume designer Odile Dicks-Mireaux (“Brooklyn”); casting directors Nina Gold and Robert Sterne (both two-time Emmy(R) winners for HBO’s “Game of Thrones”); and composer Hildur Gunadttir (“Trapped”). Lyudmilla Ignatenko (Jessie Buckley), a Pripyat resident, ignores warning about her firefighter husband’s (Adam Nagaitis) contamination; Valery Legasov (Jared Harris) lays out a decontamination plan, complete with human risks.